Working from home opportunities have flourished in the past few decades. Many small businesses are run from private homes. How do they do it? There are a few secrets that lead to having a successful home based business. If you know them, your business will experience greater success in a smaller amount of time. 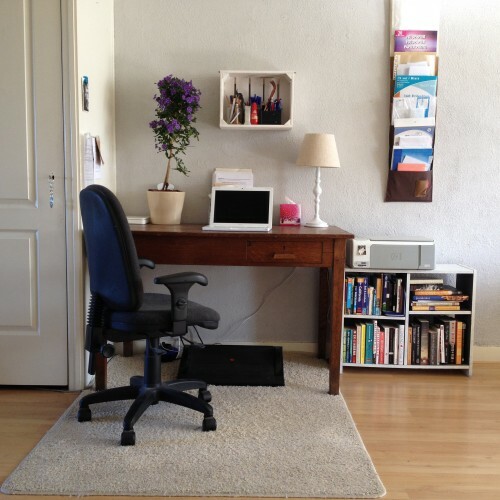 Professional Workspace – It’s important to be able to create a professional work environment for yourself. Set aside a completely separate space in the home where you’ll work. This way, when you sit down to work, your subconscious is automatically programmed to transition into work mode. Mental Skills – Have a healthy grasp of the skills you need to work as productively as possible. The very foundation of every successful startup is hinged upon positive core beliefs. You must truly believe in yourself, your products and your mission in order to be successful. A home based business is no different. From your core beliefs you’ll be able to set and achieve clearly defined goals. Knowing what these are and what steps to take in order to attain them is paramount. In addition, make sure you establish step by step procedures and routines that are focused on your goals. Isolation – Running a home based business generally means that you’re isolated from groups of people for copious amounts of time. Even if you’re an introvert and thoroughly enjoy being alone, sometimes being isolated can have negative effects. When this happens, it can cause you to become far less productive or focused and eventually lead to depression.As in everything, you need moderation. Make sure you spend enough time being social in some way. Depending upon your personality this could mean simply spending time responding to family and friends on Facebook or some other social media outlet. Keep this balanced so that you don’t suddenly find yourself lonely or depressed. Juggling Responsibilities – As CEO of your home based business, you’re responsible for research and development, product sales/delivery, profit and loss, accounts receivable/payable, marketing, strategy, quality assurance, growth and expansion. This means you’ll be spread very thin. The secret is to keep track of everything, especially in the beginning. If you follow the guidelines set forth in ‘mental preparations,’ you’ll have specific goals and step by step procedures already in place that will save you time and maintain your sanity. Delegation – Face it, at some point, you’re going to have to outsource or build a team in-house. In order to delegate effectively you need to have a clear understanding of your weaknesses. As you grow, you should be aware of your financials, so you’ll know what you can afford. Find experts who can bring more to the table than you do so that you can realign your focus on the aspects that you’re especially skilled at. Team Building – Your team can consist of in-house members or those whom you subcontract work out to. Either way, you want to structure your team so that every single aspect of your business is adequately covered. For example, if you outsource social media marketing, make sure you find someone who does it better than you. Content creation and distribution is of vital importance to companies because they’re not as exposed as a traditional ‘brick and mortar’ business.